Is your next destination – Brooklyn? Well, make sure to pick the right neighborhood and the right movers. When it comes to relocation, you need professionals dedicated to providing you with an easy and comfortable move. One of the best neighborhoods is waiting for you – Brooklyn Heights. With its reliable Brooklyn Heights movers, you have a big chance to have a seamless relocation. Moving to the neighborhood with a long history and famous brownstone rowhouses is only possible if you have professionals that know every corner and street of the neighborhood. This great part of Brooklyn is connected to Manhattan by a ferry and subway system. We can tell you; you will love it! 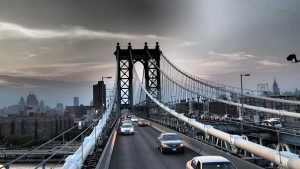 Brooklyn Heights is an exciting neighborhood, but don’t forget to hire the best when relocating – Brooklyn Heights movers. What makes Brooklyn Heights Movers the right choice? If you are planning a move to this part of Brooklyn, hiring moving assistance is a crucial thing. A premium local moving company NYC has the best agents located in Brooklyn Heights. Let our reliable movers plan your move stress-free. We have a reputation as best Brooklyn Heights movers. There are many reasons for it. We will explain a few. For a successful relocation, there is no better than hiring movers with a lot of experience. 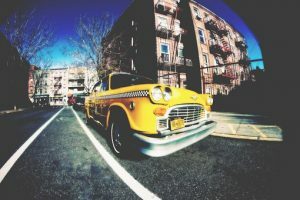 We have years of experience in relocating residential and business costumers to or from Brooklyn Heights. There is no request we cannot manage. With our experience, we have the right moving solution for every one of your needs. We can move your home or office with the same success and dedication. Our experience plus modern equipment and technology make our moving company the best and the most trustworthy in the area. Our Brooklyn Heights Movers always strive to keep our clients happy and satisfied. The reviews are the best proof of it. We are constantly improving our services and always investing in our customer care to provide our clients with the best moving experience. We have a great reputation in our community, and our neighbors are always returning to us when they need transportation help. 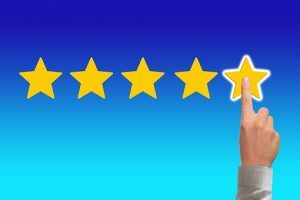 Check our reviews, and you will see people gladly recommend our moving company. You cannot trust a moving company without the license and insurance. Our moving company is transparent, and our movers and packers are licensed and insured. We are a right moving company. By hiring our Brooklyn Heights movers, you are safe, protected and worry-free. You don’t have to worry about moving scams, loss, damages, etc. We got your back. Check our reviews, and you will see people gladly recommend our moving company. When you are relocating to your new home, the one thing is the most important – to make sure your belongings are safe along the way. If you hire an unprofessional, inexperienced or fraudulent moving company in Brooklyn Heights, you are risking serious damages on your belongings and financial loss. But, when you hire our reliable Brooklyn Heights movers, you can count on safe and timely efficient delivery. 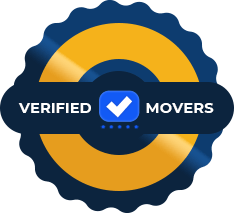 Don’t risk hiring rogue movers, stop your search right now and hire the moving company you can trust with all. Your items are safe with us. We have the best quality packing supplies, modern technology, and high-quality customer service. If you are still hesitating, give us a call, and you will get all the necessary information from our representatives. When you are moving to Brooklyn Heights, you want to do it on your budget. Calculating moving costs on time is half of the successful move. Finding affordable movers NYC is one of the steps you should take. Budget is one of the most important aspects of every move. We understand your budget worries, that’s why we give you a free moving estimate so you can have the exact number before a move. Fill out our online moving estimate or give us a call to ask for an onsite estimate. Our movers will come to your address to make a list of everything you want to relocate. In this way, you will get an idea of the costs, and you will get an accurate estimate for your relocation. Be aware; fraudulent movers will not tell you about your additional costs or they will try to get a big deposit before the move. With our Brooklyn Heights movers, you don’t have to worry about hidden fees and deposit. We are transparent and honest with our clients from start to finish. A move is a stressful experience. But, it can also be an enjoyable and memorable experience when you have reliable movers by your side. We are your best ally, and we guide your way by respecting your needs and budget. You can count on good and honest communication from start to finish. We spread positive energy while relocating your home. We want you to feel comfortable and relax while our professionals are packing and transporting your belongings. Our Brooklyn Heights movers are proof that everything can go smoothly. Let our professionals provide a fast, efficient and positive moving experience.